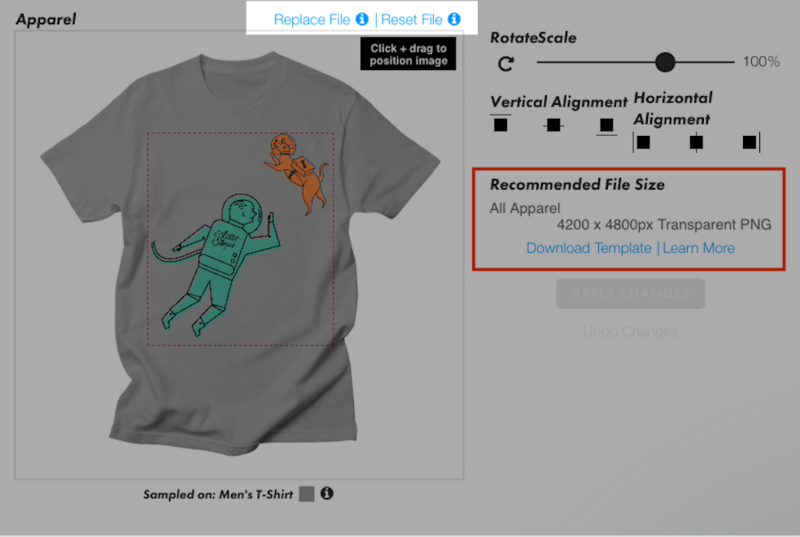 While the recommended apparel PNG file will be automatically resized for all products, it might not be optimized for all of them. For more specifics, you can find a full list of the best file sizes for each product and templates here. 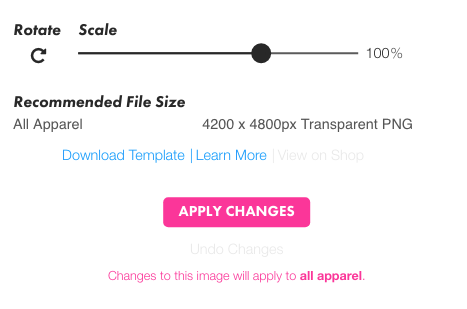 We've also created a product guide on how design sizing works for non-apparel items here. Once you've created a new file using the recommended size for a specific product, you can replace the old file from the Products page. 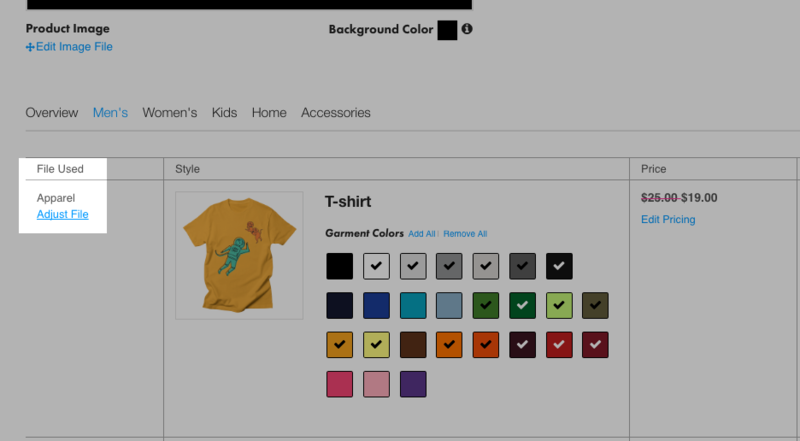 Just select your design and then the Adjust File button next to or under the product preview. From there you can click Replace File to Upload the new file or adjust with the In-Browser Editor. You'll also find the best file size and templates for that product there. You'll see a preview of the new file and make sure to hit Apply Changes to save the new file. Once uploaded, you should be able to see the new file immediately on both the editing page as well as on the product page itself. 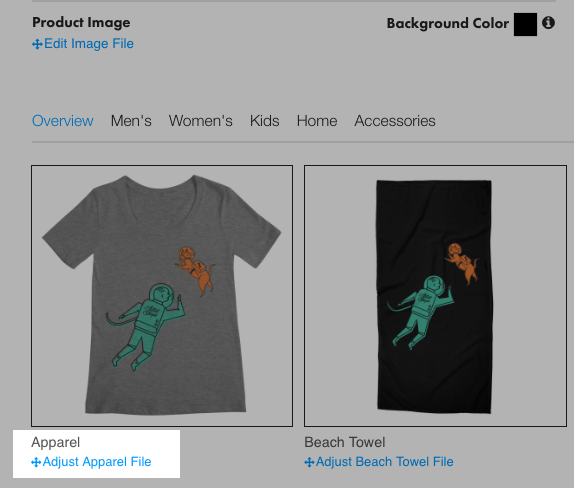 Using this method, you can have product specific art within the same design like Space Pals as shown below! You can also update the art file for ALL products at once from the Products page by clicking the Edit Image File at the top of the master file preview. 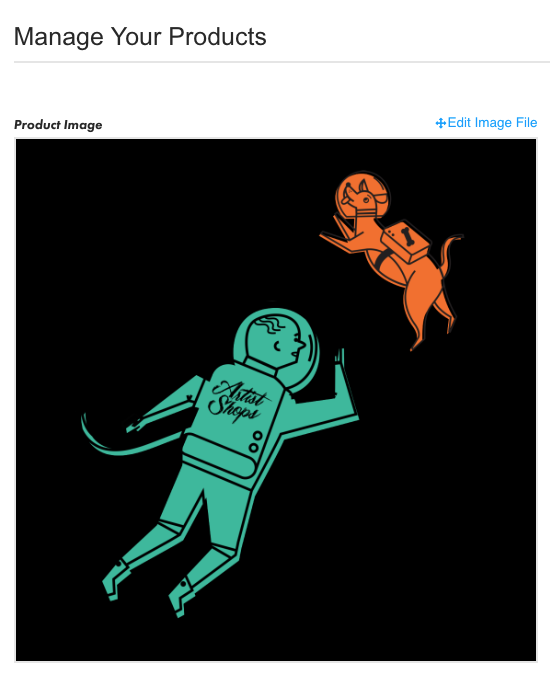 Then upload the new file under the Replace File button and check the Apply this image to all existing products. Once you click Apply Changes all products that can be updated will be! NOTE: This change will apply and reset all products to the new image, including ones updated previously.